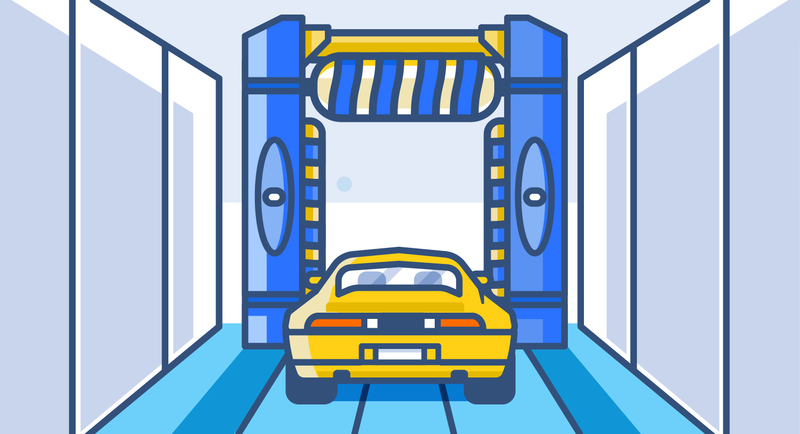 In this article, we’ll describe the most common types of car wash (specifically at-home, hand, drive-through, self-service, and mobile car washes). You’ll learn about the pros and cons of each kind of car wash, as well as how best to find a car wash near me. 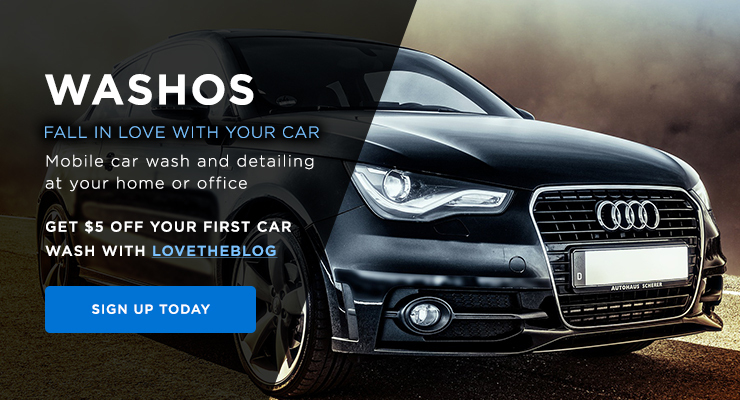 It’s important to make the right decision for particular needs, as you might otherwise end up spending too much money, paying for a wash that’s not thorough and leaves your car dirty, or even damaging your car if it’s a really bad car wash.
Luckily, by the end of this article you’ll be well-prepared to find the right car wash option for your vehicle and budget, helping you keep your car in beautiful, sparkling clean, tip-top shape. VI. 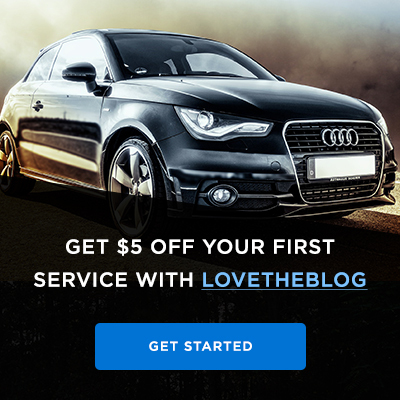 How to Find the Best Car Wash Near Me? Among all of the various types of car washes, washing your car at home by hand will definitely take the most time, but it may be worth it to you depending on your priorities. This process method involves the following steps: rinsing all dirt from the outer surface of your car; washing the car with warm water; drying with a chamois leather cloth (focusing on getting rid of noticeable streaks); and then applying a good-quality protective car wax. There are a couple of details to watch out for. First, when you dry your car, don’t dry it in the sun; you’ll get sunspots, which will ruin the look of your car. Second, when you apply the wax, make sure you don’t do so right in direct sunlight. 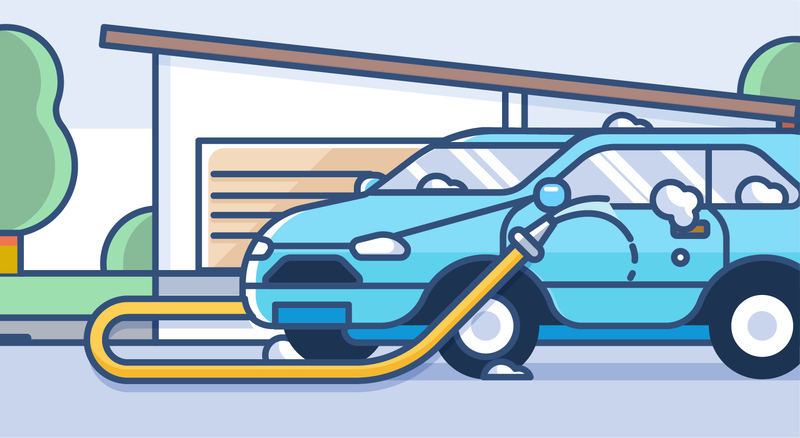 If you don’t have a hose and a driveway, and/or the numerous supplies necessary to wash your car at home, you may also consider going to a self-service car wash. There you’ll be able to complete the process using their supplies. Let’s say you want the high-quality, detail-oriented touch of a hand car wash, but you don’t have the time, supplies, or energy to wash your car yourself. Instead, you can have your car washed by a hand washing service. Unsurprisingly, this will be the most expensive option; however, you’re paying more for a reason, as you’ll almost certainly get good results (assuming you go to a reputable location). You’ll also end up saving yourself time and energy, and for lots of people, that’s more than worth the cost trade-off. You’ll also find that many hand car washing services also give the option to include their valeting services in your service, so that you can get your automobile’s interior cleaned at the same time. One thing to be particularly aware of when choosing your hand car washing service: make sure that whichever service you choose is completely insured. Ultimately: hand car washes are the right choice if you’re looking for visually appealing results and don’t mind paying a very high premium for them. An automatic car wash is the quickest method for washing your automobile. It’s also typically the cheapest, after washing your car at home. Lots of gas stations offer this kind of car wash, so it’s typically a very convenient option. To use this kind of car wash, you put your car into neutral and are pulled through a conveyor while brushes, hoses, and blow dryers wash your car. 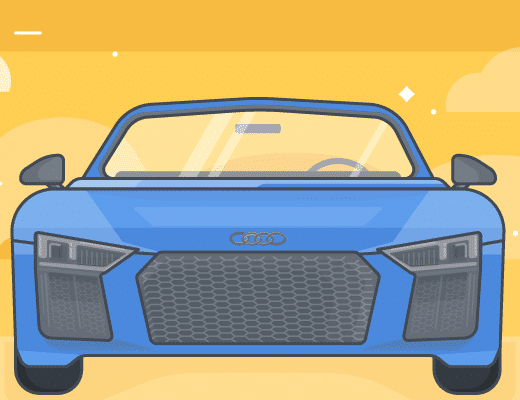 However, despite the convenience of an automatic car wash, there’s a major downside: using this kind of car wash means a pretty high risk of damaging your car’s paint job. Automatic/drive-through car washes use brushes with very stiff bristles, which are prone to creating tiny scratches in cars’ paint. These minuscule scratches collect dirt and grime, which ends up making your car look dingy and faded over time. Even more alarmingly, larger scratches can actually allow your car to rust—a major problem. Those who are concerned about protecting the appearance and quality of their car should really avoid these types of car washes. 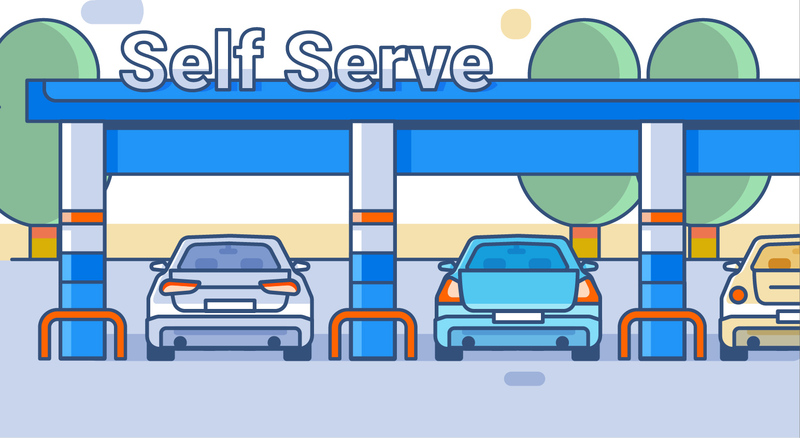 Self-service car washes are similar to at-home car washes since in both cases you’re the one doing the work to clean the car. However, self-service car washes are an option for those who don’t have a hose, driveway, and/or the numerous supplies required to clean your car (for instance, those who live in apartments with no garages). They allow you to, instead, drive up and park your car, spray it with a powerful hose, cover it with soap suds, rinse it off, and then dry the car. Then you can apply protective car wax as needed. 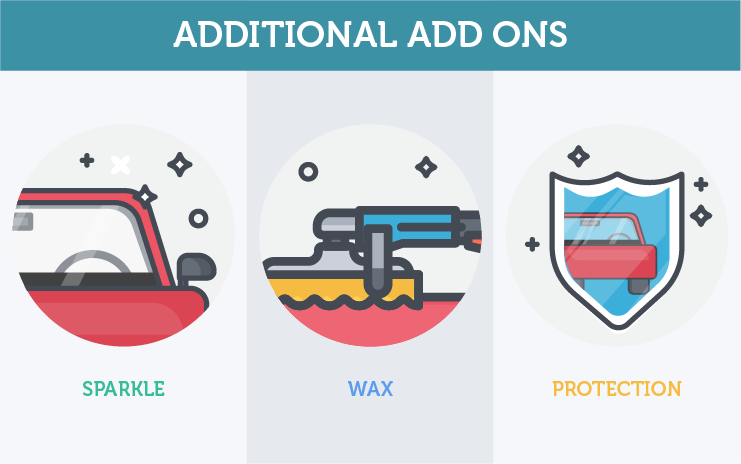 With this car wash option, you get the affordability and overall control of washing your car yourself—but you don’t have to worry, for instance, about buying or storing supplies. Mobile car washes are a pretty revolutionary option. They involve having a professional washer come to you and clean your car, by hand, from start to finish. 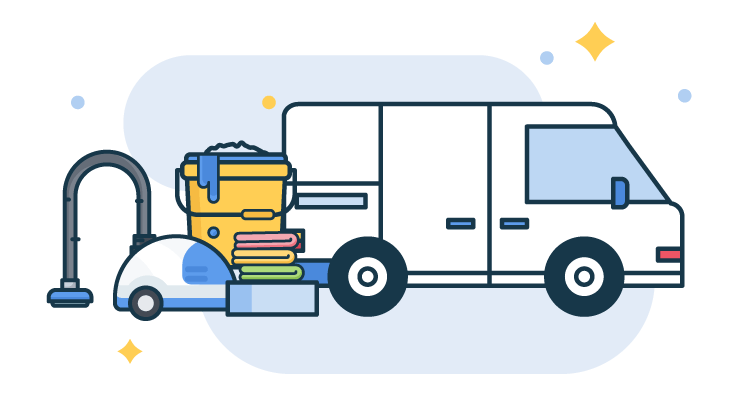 It’s basically a mixture of the best aspects of an at-home car wash as well as of a hand car wash service: you get the convenience of an at-home car wash, but also the high-quality, detail-oriented work—and ease—of a hand car wash service. Additionally, mobile car washes often involve cleaning both the interior and exterior of your car. They’re a great option to consider if you’re looking to have a spotless car, inside and out, and want to save time and effort to do so. When you’re looking for the right car wash for your car, you shouldn’t just drive into any old car wash you notice as you’re, for instance, driving home from work. Instead, make sure you do your research into the various car washes in your area and get a sense of their reputation. It’s important to do this not just because you don’t want to waste money on a car wash that doesn’t really get your car fully clean, but also because a really bad car wash could actually cause severe damage to your car (including scratches to the paint job that can cause your car to rust and shorten its overall lifespan). A great way to find a reliable, high-quality car wash is to check out what’s available in your area on Yelp, a site that aggregates reviews from real people. Just enter your town/city’s name or zip code on the site’s main page, and you’ll be able to browse by price and sort by distance, highest/most reviewed, whether the location is open at a particular time, and even features like whether the car wash accepts credit cards. When you do you’re doing your research, make sure you understand what is included in the price of each service offered. Car wash options like automatic/drive-through and self-service are pretty standard; if you’re looking for a quick, cheap option and aren’t too concerned about the quality of the wash, you might as well go with that. However, if you take the time to invest in a car wash, it will do wonders for your car and its eventual resale value—and maybe even for your mindset. 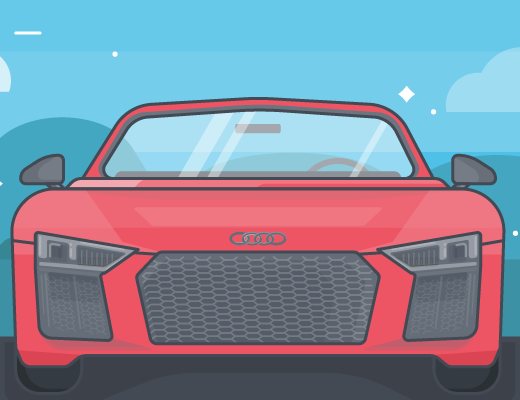 Driving around in a clean car–one that smells clean and looks sparkling new– is a truly satisfying feeling, and it’s one that’s worth the extra investment for many people. 5 Types Of Mobile Car Detailing Packages To Cover All Your Needs! Sign up for Washos today! Built with love & a French accent in Los Angeles © 2018 - Washos. All Rights Reserved. We have financial relationships with some of the products and services found on this website, we may be compensated if you choose to use any of these links. We will only recommend the products that we believe are the best fit for you.